Use your Jetski and survive the end of the world! Dive, jump and fly through different types of obstacles and enemies. Use the Jetpack or the Bouncing ball to achieve even more distance and make your way in an already devastated water world. 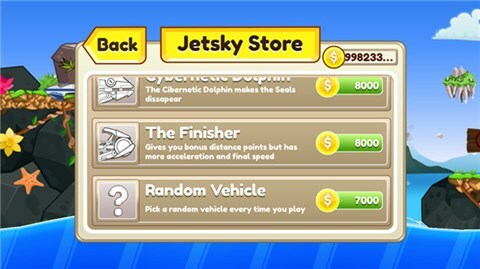 Grab coins and complete missions to buy different customizations!. Each jetski and artifact gives you a unique ability to survive the apocalypse. Each customization is different to support all play styles!. Win events to earn a big packs of coins to buy better artifacts. The custom game engine delivers a fully randomized level generator, each run is a truly new challenge!. Written only for iOS expect enhanced performance running at 60 fps even in old devices!. - Ride multiple types of vehicles. - Use multiple types of artifacts and items. 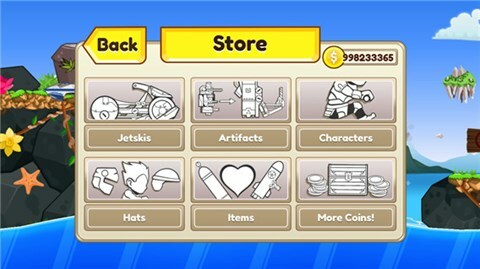 - Customize your character with clothes and hats.